Peter Dennis Sampson married Norma Parsonage, daughter of Eric Parsonage and Lillian Dean, on 19 April 1980 at Blackpool, Lancashire. Samuel Marsh Smith was born on 24 October 1850 at, Bolton, Lancashire, . He married Ada Orrell. Samuel Marsh Smith died on 7 December 1923 at age 73. When Sam died his wife Ada, son Ben and two of Ben's sisters moved from the Oriiginal Bay Horse Inn on Lee Lane Horwich to a house at 100 Brownlow Road. Ben's step brothers were responsible for running their father's businesses. On 10th Aug 1927 the contents of Brownlow Road were auctioned off and in 1929 all Sam's businesses were sold off. Her married name was Smith. Ada Orrell married Samuel Marsh Smith. 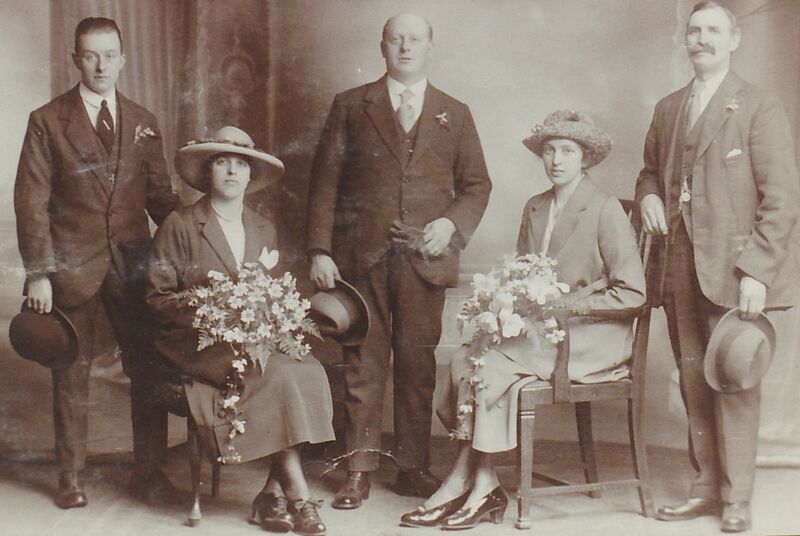 Robert Brookes married Hilda Walton. Hilda Walton married Robert Brookes. Her married name was Brookes. David Ronald Spencer married Sandra Parsonage, daughter of Eric Parsonage and Lillian Dean, on 11 May 1968 at Blackpool, Lancashire. John William Dean married Selina Leach. 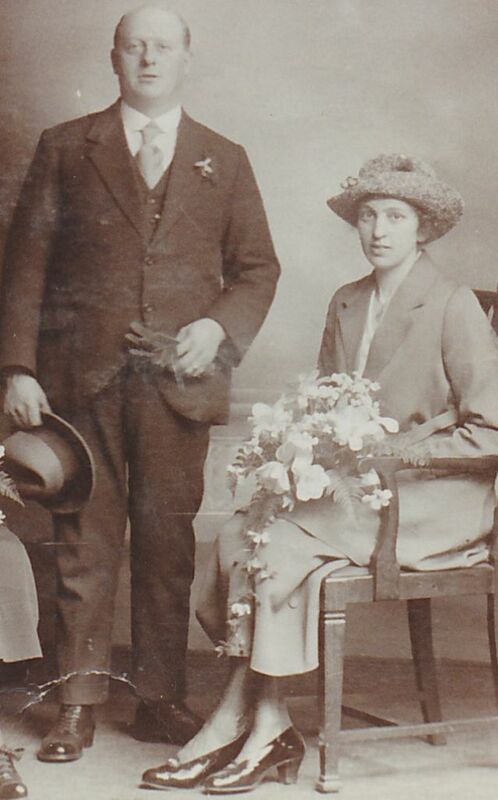 Selina Leach married John William Dean. Her married name was Dean. Brenda Parsonage died on 19 September 1935 at, Bolton, Lancashire, ; She was stillborn. She was born on 19 September 1935 at, Bolton, Lancashire, . Eric Parsonage was born on 24 April 1939 at, Bolton, Lancashire, . He died on 1 May 1939 at, Bolton, Lancashire, . He was buried at Deanne Church, Bolton, Lancashire. Harry Ratcliffe married Agnes Ada Parsonage, daughter of Herbert Harold Parsonage and Esther Ann Morris, in 1921 at, Bolton, Lancashire, . Her married name was Thacker. Betty Smith was born on 4 April 1934. Betty passed her entrance exams and went to the Queen Mary School at Lytham. She stayed at school until she was eighteen and then went to work in a laboratory in Manchester ( British Rayon Research ?). She went on to work for British Medical Research, Mill Hill, London where she met her husband David Thacker. She married David Thacker on 15 August 1959. Patricia Margaret Smith was born on 7 March 1930. In 1940 Pat passed her exams and went to the Park School in Preston. She left at sixteen and after a short while working in an office went to the Lancashire Institute of Agriculture at Hutton to train in Dairy Husbandry. While Pat was there she met Joseph Jennings who was also a student and they later married. As of August 1952,her married name was Jennings. She married Joseph Jennings in August 1952. Her married name was Jager. Barbara Smith was born in 1928. Barbara often went with her family to visit the Parsonage grandparents in Prestatyn as a child. Her mother also kept conatct with her sister Agnes and brothers Eric and Oliver. She lived with her parents on Holmfield Farm, Warton as a child and in 1939 she should have taken the scholarship to the local Grammar but the schools were flooded with evacuees and the exams were cancelled. She later went to private school in Lytham to do shorthand typing and book keeping. She left school and became an apprentice in a hairdressers in 1942. She worked as a hairdresser and then had a small business of her own in 1950. Barbara met her husband Jan on holiday in 1950, his sister was her penpal. She has lived in the Netherlands since 1954 apart from about 18 months in 1960 when she came back to Warton to help her father. She married Jan Jager, son of Berend Jager and Gezina Zeiger, on 1 January 1954 at St Pauls, Warton, Lancashire. Jan Jager was born on 1 August 1926 at Hengelo, Netherlands. Retired now (1993), he worked for a distribution firm in Almelo, Netherlands and then was head of a computer centre in Almelo. He helps with computing and teaching in an adult education centre in Wierden and is a serious radio ham. He is a member of the Independent Order of Odd Fellows. He married Barbara Smith, daughter of Benjamin Smith and Edith Emily Parsonage, on 1 January 1954 at St Pauls, Warton, Lancashire. (an unknown value). Margaret Ratcliffe also went by the name of Peggy. She was born. Norman Ratcliffe was born circa 1930. (an unknown value). Brian Ratcliffe was born.